WIRED’s article on Wearable Computers being the next big thing got us talking about whether wearables were indeed what the future had ordered. When I was researching for the MSR Design Expo submission last year, I came across the fact that life-logging has been present since the early 1980’s. Pioneered by Steve Mann, who went on to found the Wearable Computing group in the MIT Media Lab, this was the beginning of wearable computing. Steve Mann and his Wearable Device. The start was almost 30 years ago and an idea ahead of its time. Today social media is brimming with people posting their day to day lives. Some do so with caution and a slew of new networks like Snapchat have risen to the occasion. Facebook has replaced my regular emails and Twitter my newspaper. To me, this is prime time for the rise of the wearable device. Smartphones with their multipurpose apps own the current era but they have that one fatal flaw; as Thad Starner, the technical lead of Google Glass and who spent nearly two decades wearing a wearable device, points out: “If you can’t get to a tool within two seconds your use of it goes down exponentially.” Wearables will be able to fix this gap. Already people are at work hacking this readily available tech for their advantage. Use cases like Patrick Jackson‘s fire fighting apps or Recon Instruments‘ sports training enabling devices are where I see the potential of these devices. Just the other day, I was part of a conversation where we were discussing which fitness device is a better buy. I think this should signal that wearable devices are very much a part of our future. This said, I don’t really like the idea behind Google Glass for “everybody”. Although designed with the core idea of reducing the time between their intention to do a task and their ability to perform that task, it does give the impression of not being there in the moment. I think the problem here is the obsession that people have with devices and services. Very often the human becomes the slave. Even though you seem to have access to capture every moment of your life today, how much of you remember living it? 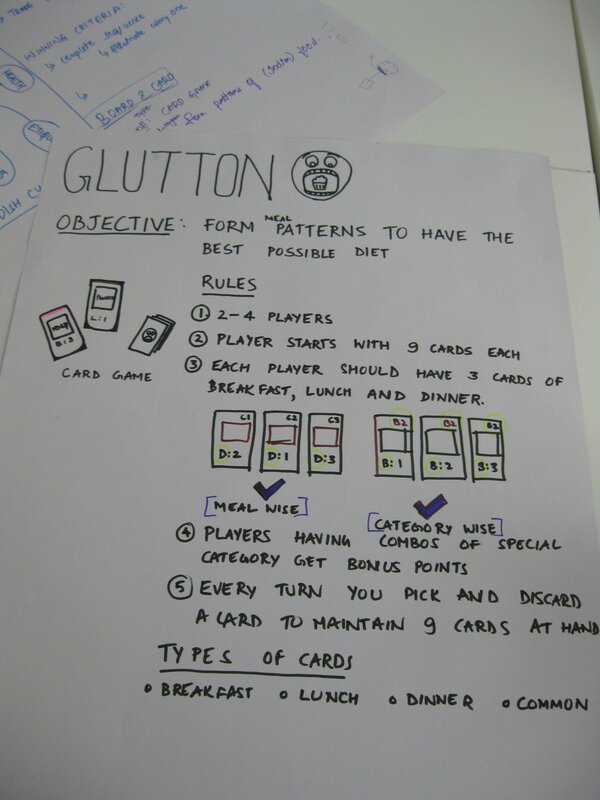 This is the story of the origin of the card game, Glutton and my experience at the Swissnex Game Jam held last Sunday. This is the story of the origin of the card game, Glutton. 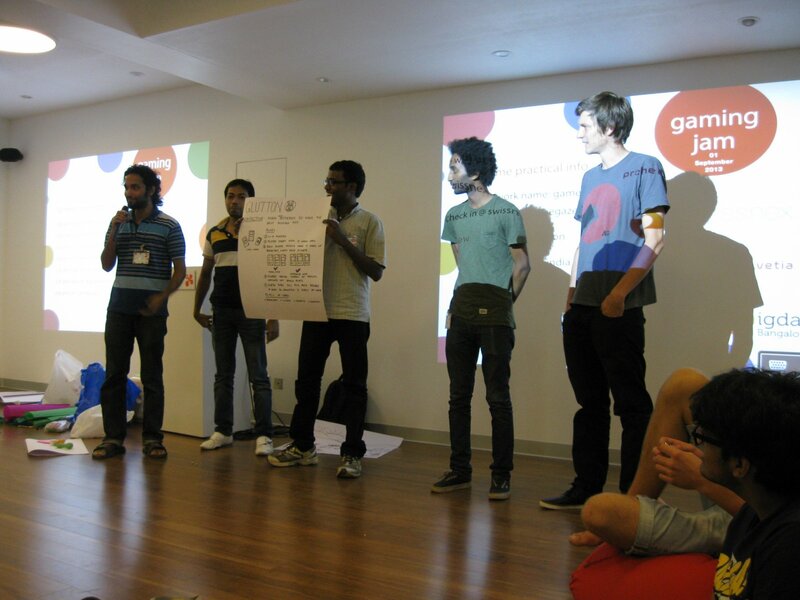 It all started, when I signed up for the Gaming Jam to be held as part of Swissnex’s Game Gazer Exhibition. Feeling very n00bish, I still decided to attend the session on Sunday at Swissnex India. 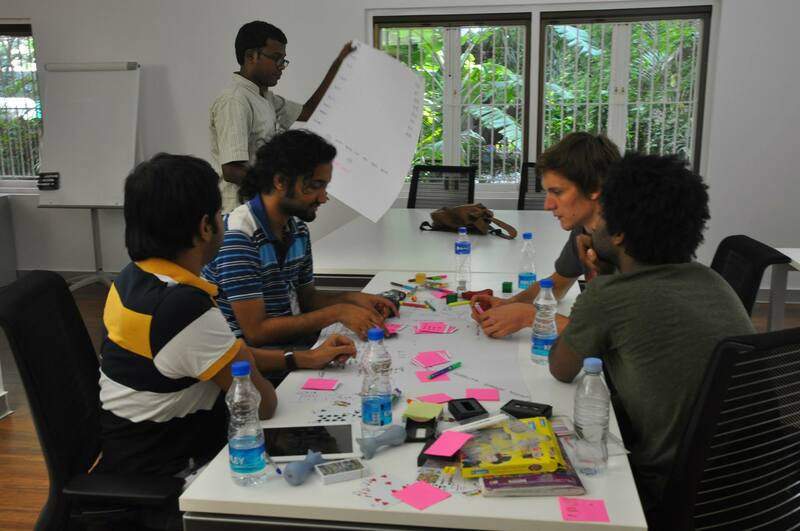 After an Introduction, the theme was released; Indian Culture in Game Design. I was in a 5 member team which we named as ‘Team Stark’ and it consisted of me, Murali, Debashish, Rufael and Simon. After an initial brainstorming, where we dealt with traffic(not really indian) and gods(too controversial), we narrowed down to food etiquette. This was because Simon pointed out that Indian foods would be something that a foreigner would want to learn about and there was no easy way of going about it. We brainstormed some more where we started out thinking about Game etiquette and ended up trying to conquer cities based on food knowledge. Narrowing down, we decided to make a card game and tried to figure out the game play and the game mechanics of the game. 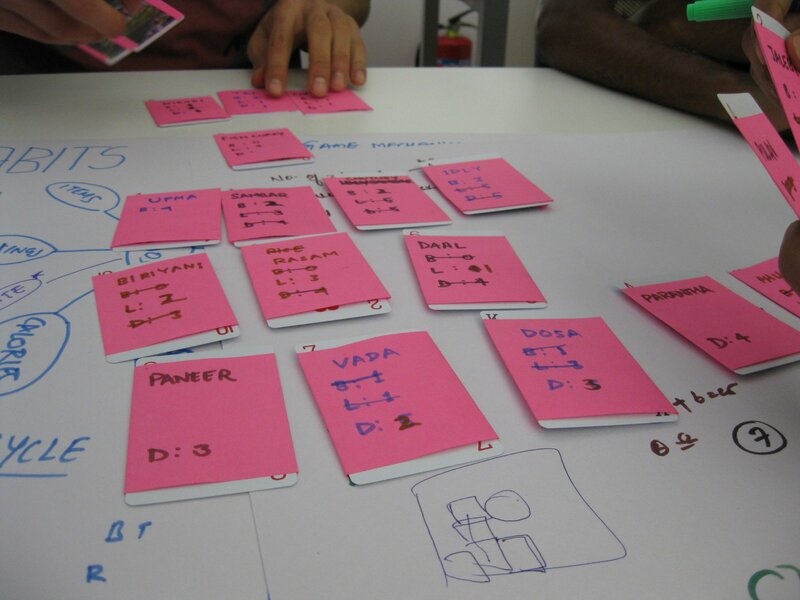 Prototyping and Playtesting the game helped us realize the problems in the game play and also how to scale the game. Overall it was a fun experience and I will definitely try to organize one in college in the near future. A Card Game to introduce Indian Foods and Food Habits to Foreigners. One set of cards is designed for a game with 2-4 players and it’s encouraged to have atleast one Indian who could help moderate the game. Each card will have information regarding the food like a photo and a calorie count. The cards would be separated into Breakfast, Lunch and Dinner cards. Each player is dealt 9 cards and this forms his ‘plate’. He needs to maximize the value of each 3 card combo before the game ends. There are special combos that can be formed which would create added value for the player. At the end of the game, the points are tallied up to judge who wins which meal. Hope to make a better prototype when I get some free time. I ran the set through Tilemill and found large parts of India still untagged especially almost all of Maharashtra and Bihar. I asked Arun and he told me that ” there are no official public datasets available. But there is reasonably good coverage in the openstreetmap data. The simplest way to view the data is to probably use http://maperitive.net” which I will try to explore for now. You could help by mapping your own pincode on this website. Go on, it only takes a minute. While browsing through the the schedule for Open Data Camp 4, I came across and etherpad entry containing details of the ‘Data and Maps’ crash course on Day 2. 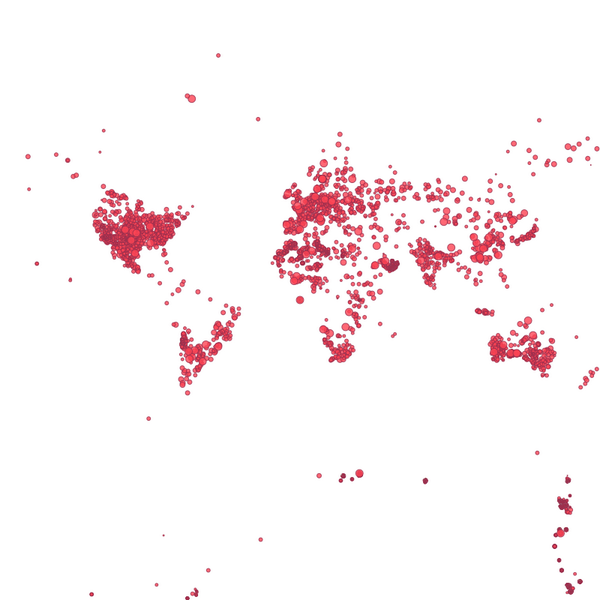 Tilemill (by Mapbox)fascinated me and I downloaded and installed it. It has a wonderful crashcourse to introduce beginners to the map designing scene. 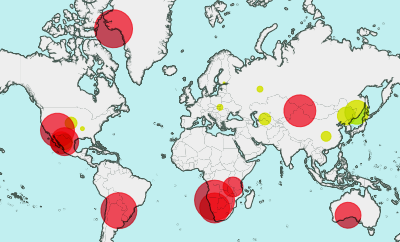 The Map styling is done using CartoCss which is similar to CSS. The interface has layers like Photoshop and good import and export features(Mapbox free accounts offer 3000 map views/month and 50 MB space). Poking around in the documentation provided you will be able to locate data set sources, shape files and how to import data. Below I shall explain how I went about re-doing a class assignment using TileMill. Earlier this semester we played around with Processing to visualize data sets. I decided to try visualizing a data set that I had prepared earlier. Not knowing any way to scrape data off a website, I had manually collected the statewise distribution of the US olympians by birth(excluding/clubbing athletes of foreign origin). 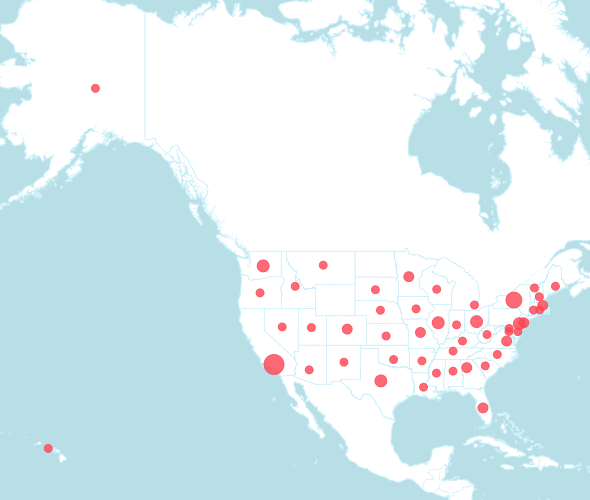 Before I could use the data, I had to geocode the data. To do this I first uploaded my Excel sheet to Google Drive and then installed a script (Tools > Script Gallery > Search 'Geo' > Install 'Geo' by dhcole@gmail.com) . This helps convert addresses into lat, long values which TileMill can identify. I used Mapquest to convert for me and it was far from satisfactory, maybe the Yahoo provider would work better. I then used Google Map to manually get the co-ordinates. Alternatively you could use GetLatLong to get/verify co-ordinates. Next I published the datasheet on the web via Drive (inbuilt) and used the csv format as a datasource for a layer in Tilemill. I also used the US State border line shape file provided by the US Census. With a bit of tweaking with the CartoCss, I was able to come up with a fairly decent looking visualization with minimal interactivity. Do feel free to critique the visualization choices so that I can improve them. This was an experiment to see how TileMill works and what I can do with it. 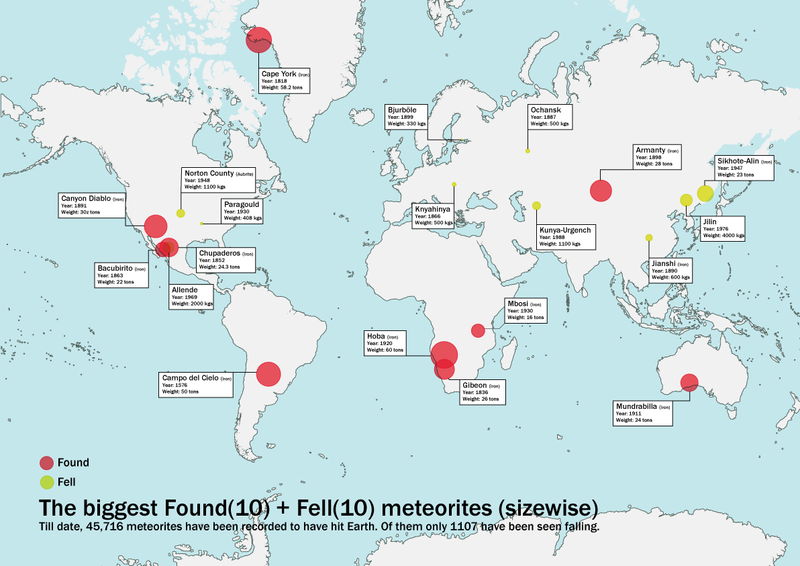 Disclaimer: There could be a manual error when I created the data set hence I am not linking the dataset here. Update: Here’s a more detailed tutorial for beginners. Sometime in November 2011, after some contemplation i decided to buy http://dsouza.im, then i after much dawdling i finally uploaded version 1 somewhere in february. My main intention of buying the specific domain is for using domain name hacks making my personal site having a url: http://kenneth.dsouza.im Very existential. So version 1 was just something i pulled online without giving much thought. When i got shortlisted to NID second round, i decided to code a portfolio using deck.js and uploaded it. Essentially, i havent yet done anything much on the domain that i would be proud of i.e., until now. Work has been hectic and in between 12 hour days and work on Saturdays i somehow got a Sunday for myself and spent it reading manga. Sunday evening was when i decided to code something new onto the domain. I like pixel art. I use Gmail’s High Score theme. I grew up playing cartridge video games. The love for the 8 bit is ingrained in me. So here’s my personal tribute to video games. First, i stole background images from Gmail for use. Please be excusing my plagiarism. So i coded up a design that had been growing in my head. Then i needed a pixel font. So i went ahead and tried out using @font-face for the first time. Finally. A video game tribute would be incomplete without having a Konami code* reference. So a quick google found me a library which was widely used to recreate konami code. So now with that out-of-the-way, i finally release http://kenneth.dsouza.im on this blog. Please head down there and then enter the Konami code for the pixel version that i am proud of. Fonts used: My Logo: Pacifico, a Google Web Font. The Text is Silkscreen via fontsquirrel. 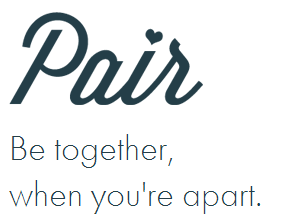 Pair is the latest app/social network that is creating a buzz in the west and most people would be wondering why anyone didnt think of it first ? Actually they have but none have been successful. A social network targeted at couples and especially at those maintaining a long distance relationship is quite a well thought fork to the idea of social. The Y Combinator backing they have is also giving them the essential technology press so that they will need to sell an idea that has been thought of before but never well executed enough to survive. Pair also has some unique features like the “thumbkiss” which will surely be the next “poke”. Monetizing this app also would be simple and easy. However i wrote this post not to share this app with you but because i was pondering on the unique negative scenarios that this app would produce if it became the next big thing. An app can be installed only once in a phone, therefore would this reduce cheating ? Could this app actually help people cheat ? In case of a breakup, would an option of deleting the app signify an end to the relationship ? How about a new relationship ? would that mean that you would have an option to start using Pair from scratch ? Also you should have noticed by now that the idea of social is shifting from the “have more friends”(Facebook) to “share with close friends”(Path) and the emphasis being on your “friends” being a very close knit group. This is the future of Social networking. Privacy concerns are the reason for this shift and come on, you wouldn’t really want to share many of the parts of your life with your entire network. That is why when i realized that, i stopped updating this blog in a diary like manner and its become more of a article like blog. Because you never know who’s watching.